The Nuggets have become an obsession for basketball nerds and NBA hipsters. But even the best-laid plans can go awry, leading Denver to preach patience after showing so much promise. 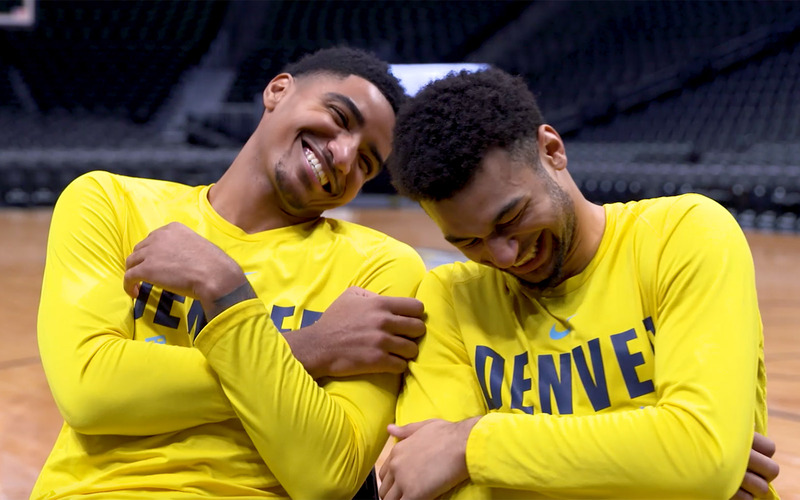 For an even closer look at NBA Twitter's favorite team, watch Rohan Nadkarni's 9-minute feature on the Denver Nuggets, ​exclusively on SPORTS ILLUSTRATED TV. 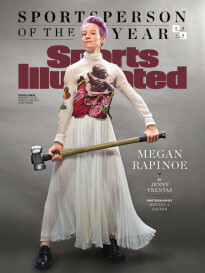 SI TV is your new home for classic sports movies, award-winning documentaries, original sports programming and features. Start your seven-day free trial now on Amazon Channels. It’s not often that an NBA executive will be so publicly blunt about their player evaluation process. Then again, Nuggets president Tim Connelly is not most NBA executives. The 41-going-on-31-year-old is excitable, energetic, and has friendships ranging from fellow front offices all the way to Hollywood. And he has no qualms admitting how the Nuggets acquired their franchise centerpiece, slick-passing, 22-year-old center Nikola Jokic. “Well, certainly it was luck” Connelly says of selecting the Serbia-native Jokic with the No. 41 pick in the 2014 NBA draft. Connelly described Jokic as a flier, a project, someone who was selected in part because he had a girlfriend in the United States—and therefore a reason to actually leave eastern Europe. 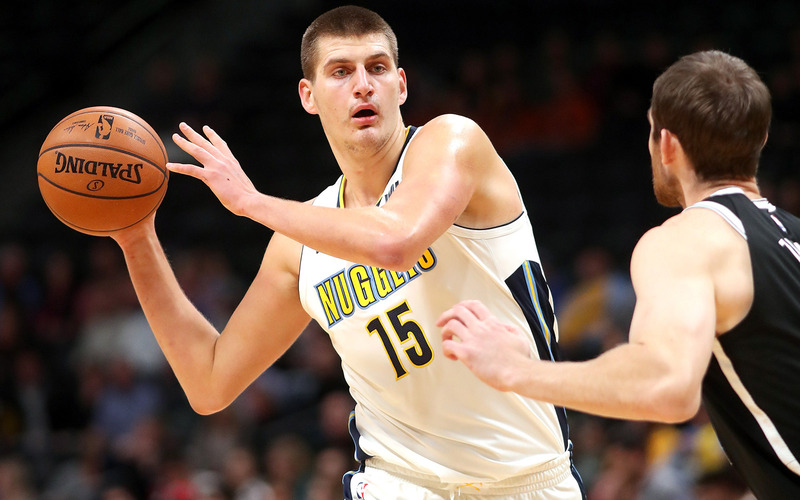 By the end of his second season however, Jokic had quickly gone from project to professional. And from the day Jokic became the Nuggets’ full-time starting center on Dec. 15 of last year, he led what was the No. 1 offense in the NBA the rest of the season—a fast-paced, ball-zipping, high-percentage-shooting, fun-as-hell offense—ranked higher in efficiency than LeBron‘s Cavs, Harden’s Rockets and Steph’s Warriors. “What’s a hipster basketball fan?,” 23-year-old Gary Harris wonders aloud while seated next to his 20-year-old, equally perplexed backcourt mate Jamal Murray. To Harris and Murray’s amusement, the Nuggets’ offensive transformation led by Jokic during the second half of last season made Denver appealing to a certain type of basketball fan. The fans who subscribe to League Pass every year, the fans who eagerly await petty Instagram comments, the fans who appreciate Khris Middleton more than DeMar DeRozan—these were the people tuning in to watch the Nuggets every night. As Denver scored and scored, it quickly became the internet’s favorite NBA team. Jokic especially was lauded for his Gretzky-level passing ability. The Nuggets’ front office has graduated past calling Jokic the best passing big man, simply referring to him as one of the best passers in the league. Head coach Mike Malone, who was an assistant in Cleveland during LeBron James’s first stint there, sees a parallel between James and Jokic. Meanwhile, as Jokic flung looping lobs over the heads of unsuspecting defenders, Harris—the No. 19 pick in the 2014 draft—became the thinking man’s answer to the most underrated player in the league, thanks to his ahead-of-his-years defense and lights-out shooting from three. And Murray—a lottery pick from last year—flashed the potential to become the team’s point guard of the future. Mixed with doses of unpredictability from Will Barton (a former second-round pick of the Blazers) and Wilson Chandler (a holdover from the Carmelo Anthony trade), and the ragtag Nuggets were arguably the most entertaining team east of Oakland. Denver’s front office was serious about wanting to be more than a feel-good story this season. Despite missing the playoffs by one game the year before, Connelly and Karnisovas realized their core had serious potential. To bolster the roster of young up-and-comers, Connelly and Karnisovas aggressively pursued Millsap, a four-time All-Star in the offseason, hauling in a coveted veteran free agent who had previously anchored a 60-win team in Atlanta. Nuggets brass met with Millsap as soon as free agency opened, with Harris joining executives to give the pitch a little more oopmh. Connelly recalls the team putting together all the “bells and whistles” for the presentation, but when the time came for the meeting, they scrapped their showy display for a brutally honest conversation—selling Millsap on the organization by clearly defining what his role would be. He signed a three-year, $90 million contract on the outset of free agency. To have a player like Millsap want to join the team, indicates “we’re doing something right,” according Malone. The Nuggets have never been a top destination for free agents, but Millsap signed in large part for the opportunity to play alongside Jokic. Millsap’s signing was also an indication that the current iteration of the Nuggets weren’t going to be the same as your older sibling’s. The post-Melo, George Karl-led teams of yesteryear were content to be a collective greater than the sum of its parts. Now, the organization is committed to adding top-end talent, and all of Malone, Connelly and Karnisovas agree there may not be a true superstar on the team right now, but there’s potential for one to develop—especially if Jokic keeps improving. Headed into this year, the pieces were in place for the Nuggets to springboard up the Western Conference standings. Jokic was now the unquestioned fulcrum of the offense, with a well-rounded big man alongside him to ease the pressure—and provide support on defense. Harris was given the security of a four-year, $84 million contract in the summer, and Murray was handed the keys to the offense after the team let go of veteran point guard Jameer Nelson. Tasked with leading the operation was Malone, whose sideline demeanor during games can be best be described as “hardened villain from your favorite Sunday night prestige drama.” Away from the sidelines, though intense, Malone is beloved by players both rookies and veterans, mostly due to his energy and positivity. The feel-good vibes, the committed front office, the newly-signed All-Star, the exciting youngsters—the Nuggets had all the pieces in place to make a splash in the West. Then reality hit. Denver started the season 1–3, and last season’s No. 1 offense has slipped to No. 8 two months in. 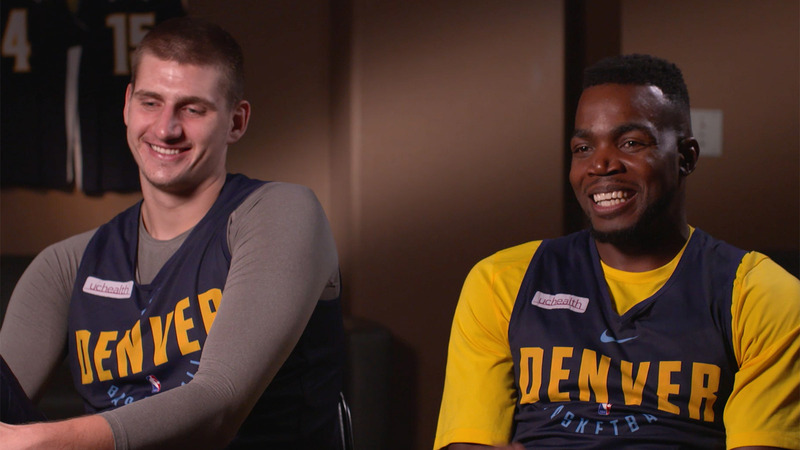 Millsap and Jokic needed time together on-court to figure out how to best play off of each other’s talents. Harris was no longer sneaking up on anyone. And Murray’s struggles became magnified under the starting spotlight. 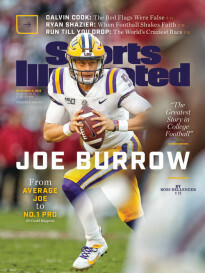 The decision to let go of Nelson and move on the Murray was a controversial one, and Murray has played like a 20-year-old—inconsistent with flashes of tantalizing potential. Murray is averaging more minutes than last season, but his three-point shooting efficiency has dipped, as has his assist-to-turnover ratio. Still, the Nuggets’ most used starting lineup, with Murray running the point, was throttling opponents. And two-man lineups featuring Murray and each of the other starters all have net ratings above seven. But just when it looked like the Nuggets were beginning to turn a corner this season, Millsap injured his wrist, and underwent surgery that will still keep him out for months. After rebounding from their 1–3 start with a 7–2 stretch, Denver went 7–8 in its next 15 games, an up-and-down period marred by Millsap’s wrist issue and a sprained ankle for Jokic. Entering Thursday's action, the Nuggets sat at 15–13, fifth place in the West and about to get Jokic back from the sidelines. The Nuggets’ long-term future is still bright. Malone, who in addition to coaching LeBron was with the Warriors before Stephen Curry and Klay Thompson were shooting their way to titles, knows perhaps better than anyone the road from young and exciting to established and reliable is filled with obstacles. The front office is also preaching patience. The Nuggets haven’t skipped any steps, but their selection of Jokic rightfully emboldened the front office to take a leap with the Millsap signing. What Denver is finding out in the first few months of this season, however, is that sometimes luck goes both ways.